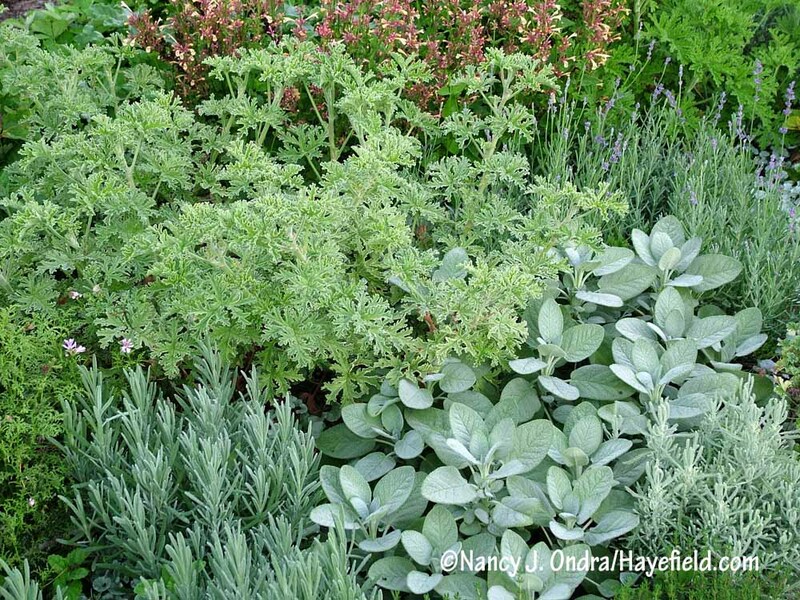 In my last post, I focused on just four herbs; this time, I’ve chosen some of my favorites from the wide range of other culinary, aromatic, and medicinal species and their selections. 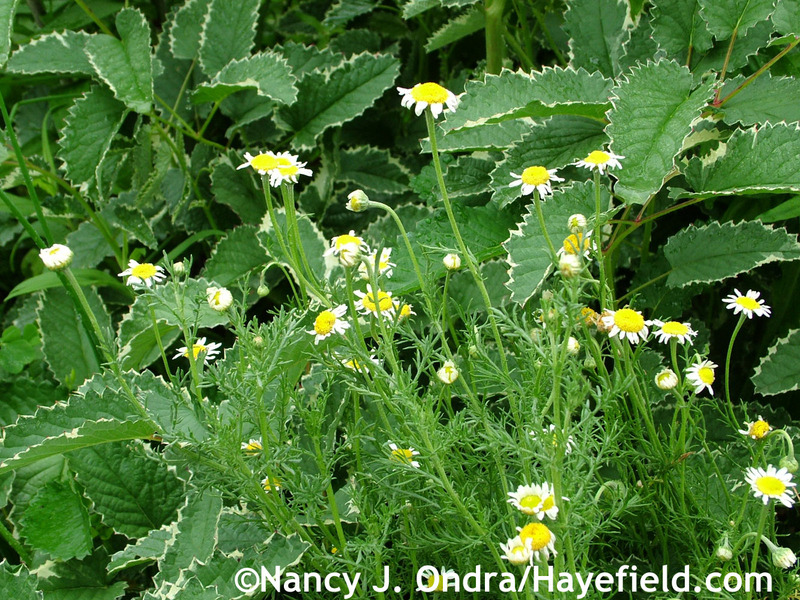 Above is Roman chamomile (Chamaemelum nobile), which I’d planted with the intention of harvesting and drying the flowers for tea. It’s so cute in bloom, though, that I kind of hate to cut them. Here’s it’s planted with ‘Dali Marble’ burnet (usually listed under Sanguisorba menziesii, even though its height, flowers, and bloom time are far more like those of S. officinalis). Surely it can’t still be winter? And yet, it clearly is–outside, anyway. In here, I’ve been immersed in my photo archives for the last few days, picking out photos of plant combinations for the book I’m working on. Revisiting the digital highlights of the last decade has reminded me of some plants and pairings I’d like to try again, including some old favorites that I’ve neglected over the past few years. 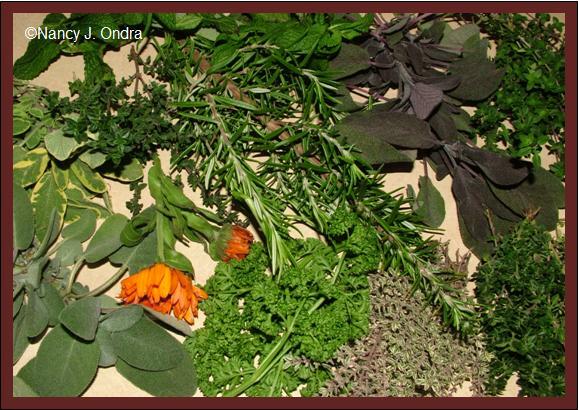 I still have herbs on my mind from my last post, so I decided to separate out a bunch of herb combination photos, in the hope that you too might enjoy thinking about these fragrant and flavorful beauties. There are a lot of them, so it made sense to focus only on lavenders, thymes, sages, and basils this time. 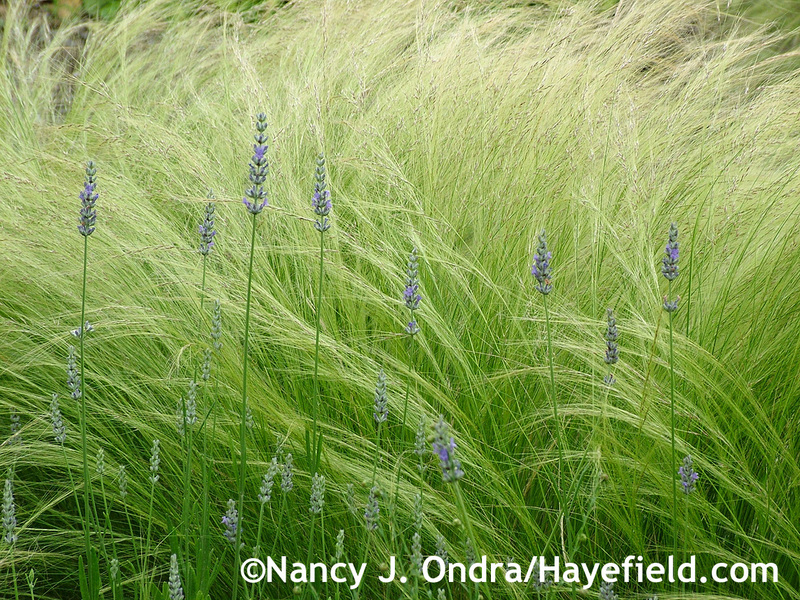 Above is one of my all-time-favorite pairings: spiky ‘Provence’ lavender (Lavandula x intermedia) with wispy Mexican feather grass (Stipa tenuissima).